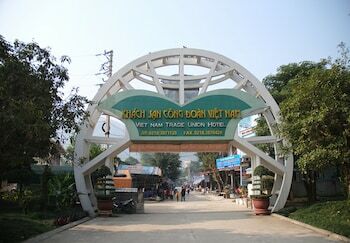 With a stay at Vietnam Trade Union Hotel in Kim Boi in Kim Boi, you'll be 19.9 mi (32.1 km) from Muong Culture Museum and 21.5 mi (34.7 km) from Hoa Binh Stadium. Featured amenities include dry cleaning/laundry services, a 24-hour front desk, and multilingual staff. Free self parking is available onsite.